For much of the day, it was sunny and warm. I thought to myself that it would be the perfect evening for softball. Of course I shouldn't have been so optimistic since we do live in Vancouver. As Milhouse and I were heading West towards Montgomery Park, it was becoming quite apparent that the weather was taking a very nasty turn of the worse. We were hoping that the weather would hold up for our game; but all we could see were dark clouds and rain in the distance. While we were in the 1st inning, we noticed some clouds swirling in the distance that looked ominously like the beginnings of a tornado. Lucky for us, we were neither in a trailer park or Arkansas. Off in the distance there were lightning strikes and thunder. Then all of a sudden, rain and hail came down hard. We all scattered and naturally the game was called. Funny how Miss Y was late again and arrived just as we were scattering. I wonder if she was trying to bid on a dress on eBay again? Yes, her excuses are getting more bizarre every time. Next time, I'm bracing for the "I was busy playing Farmville" excuse. So whenever we get together, whether we get to play the actual g ame itself or not, we still go for eats. Hey, why am I on this softball team in the first place??? So the first course of action was to decide on a place. Bear jumped into the back of my car and we held an impromptu meeting. Yes, we take eating very seriously! 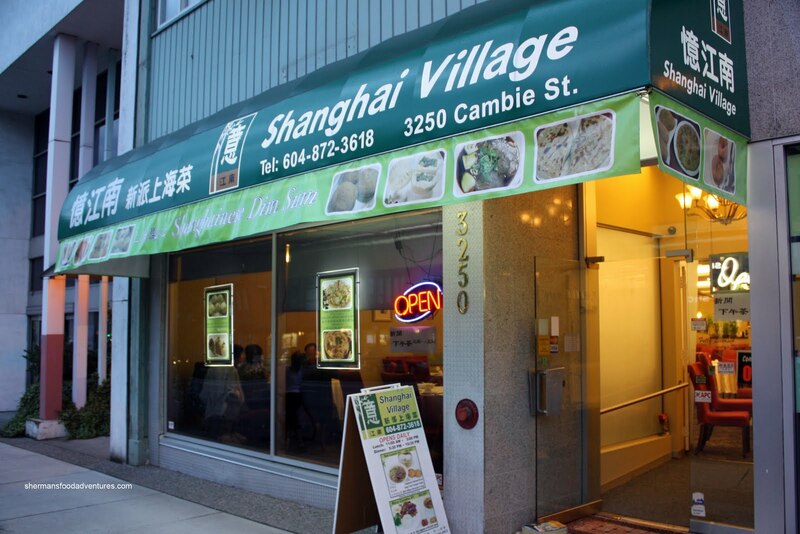 After a brief discussion, we decided on Shanghai Village. Joining me tonight were Bear, Milhouse, Judes and Hot Chocolate. Apparently the rain made some people go home rather than eat! Wimps! We started with the Nanjing Marinated Duck. 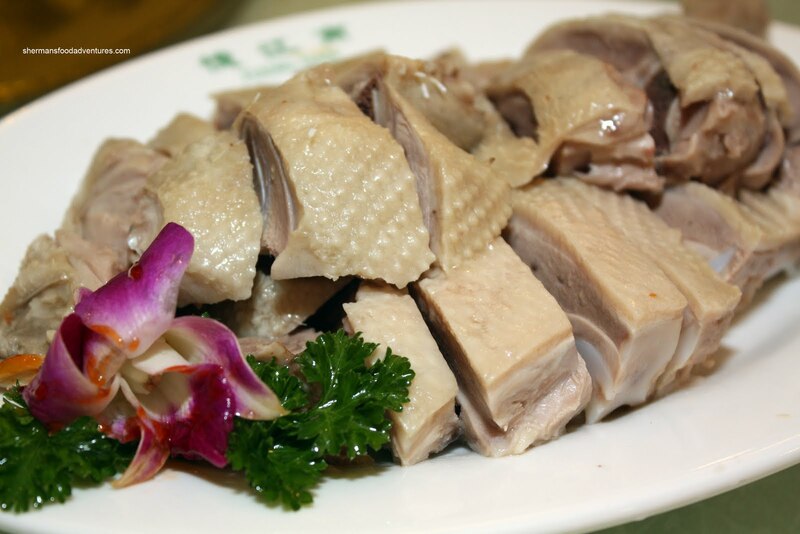 Sometimes when we order duck at Chinese restaurants, they end up to be more bone than meat. Not in this case. There was plenty of tender, well-seasoned meat kept moist by the fatty skin. I particularly liked that the natural duck flavour was able to stand up to the salt. Up next were the complimentary Xiao Long Bao. That's correct, you read right, they are free if you spend over $30.00 (I think...). Usually the only thing you get for free at Chinese restaurants is attitude. I must admit that these XLBs were pretty good. The dumpling skin is one of the thinnest I've seen and there was juice abound. The only thing I would wish for is that the pork to be a little less gritty. Oh, and our award for "epic fail in picking up a XLB" tonight goes to Milhouse. He got more on the table and steamer than his bowl. 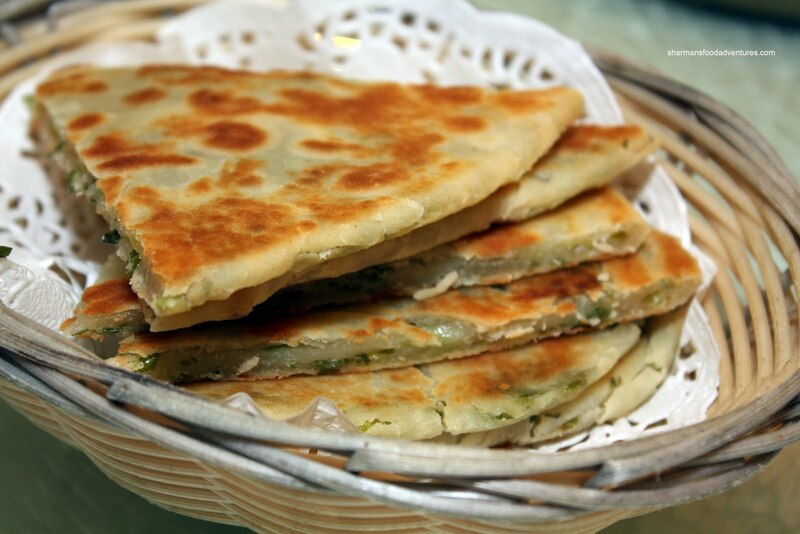 Another staple of Shanghainese Dim Sum are the Green Onion Pancakes. The exterior was crispy; however, I personally found the inside a tad doughy. With that being said, they were still quite good, exhibiting a nice aroma. 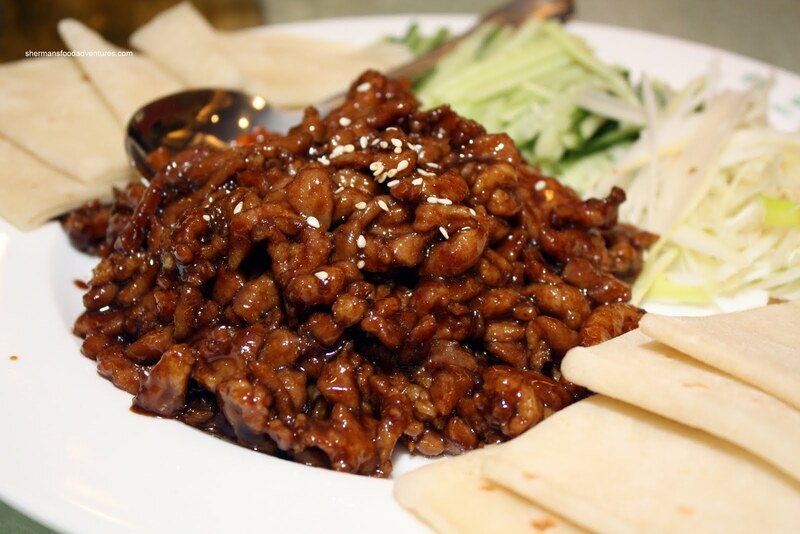 We are suckers for interactive food, so we got the Stir-Fried Pork with flour crepes. There was plenty of juicy, tender pork for the 8 accompanying crepes. I liked both the colour and taste of the pork. There was a rich stir-fried flavour that was sweet and only a tad salty. Something that we would've never ordered if our server didn't recommend it was the Stuffed Eggplant. Arriving on a metal plate atop hot rocks, the dish retained heat until we finished it. This was a favourite of our table. 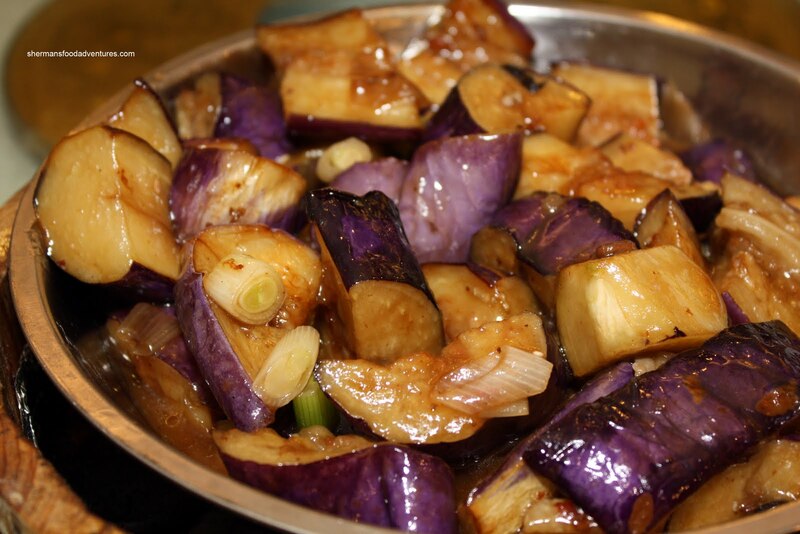 The pieces of eggplant were oil-blanched perfectly so that they were completely tender without becoming a mushy mess. Almost randomly, some pieces had ground pork stuffed into them and it was like finding a little treasure. There was no absence of seasoning in this dish either. It would've probably been better if we had rice or a steamed roll. Something that we usually order at a Shanghainese restaurant is the Stir-Fried Rice Cake. 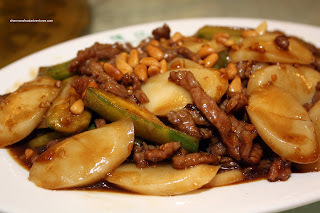 Unlike the other versions we had of this dish, the one here is stir-fried with cucumbers, peppers, beef and pine nuts. This was another winner. The rice cake was the perfect texture of being chewy; yet soft at the same time. We really liked the tender beef and slightly smoky flavour of the sauce. The food actually looks quite good; however, I must ask: the reason you mentioned the prices seem to be a bit high is because it is being compared to other Chinese eateries or restaurants in general? I mean, compare it to all of you going to, I don't know, Enigma? (Given it was written recently). Yes, I pick on Miss Y a lot... She likes it. LOL... Yah, the food is pretty good here. You are right, the prices are higher only in comparison to other similar Shanghainese joints. But still cheaper than non-Asian restaurants. I've been to this restaurant 4 times since it had open this year and we've never gotten anything free... Our last visit was actually tonight and we had spent over $300.00 bucks!!! 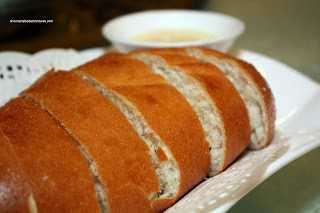 We order the Shanghai steam bun and paid for it maybe thats why we didn't get it free? 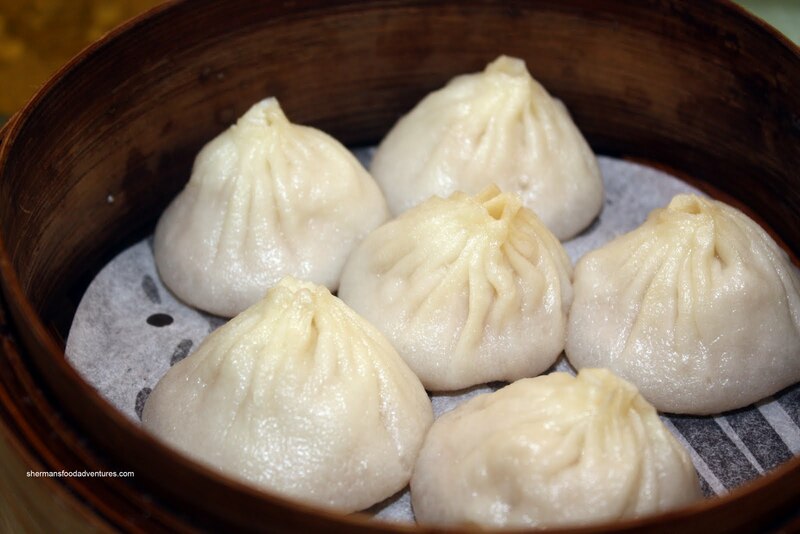 Personally I find there Shanghai steam dumpling to be average, there stuffing is quite bland. There service is always awful for us and we've gotten different servers maybe you guys got the manager or owner of the place? All there recommendation was quite different and not in a good way. Hi LR, nope I didn't attend that event. The reason is that I would much prefer to visit these restaurants individually without being part of an organized event. Personal preference really. Djai, sorry to hear your experiences haven't been good. I hear ya though. My parents have been there too and thought it was average. Viv has been there recently with some friends too and it was decent. Maybe they have consistency issues.